The first may 2015 update is now available. Amongst other things, this includes additional training missions. Second May update now available for Gamersgate versions; this includes some additional missions, including one featuring (AI-controlled) air support. I spotted the boxed game in my local Game Station today (I don't have the option to download or play online). 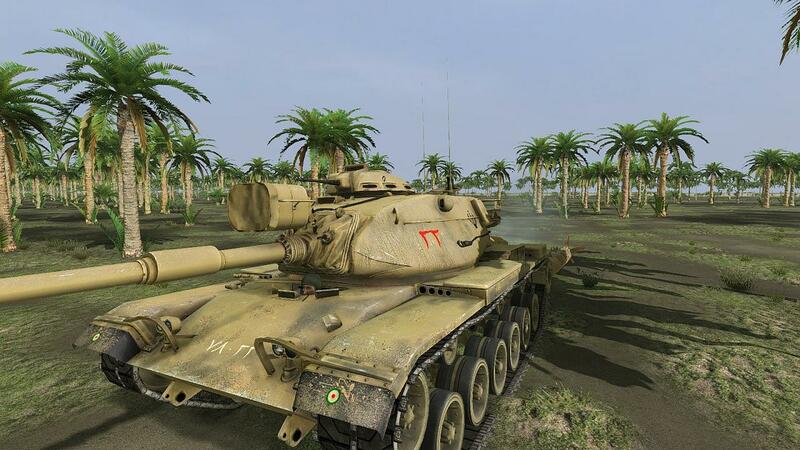 Now I've never heard of this sim before, so how does it compare with "Steel Fury"? I haven't yet been able to experience that one either, but it does seem to be the benchmark for you guys, judging from what I've read on this forum so far. 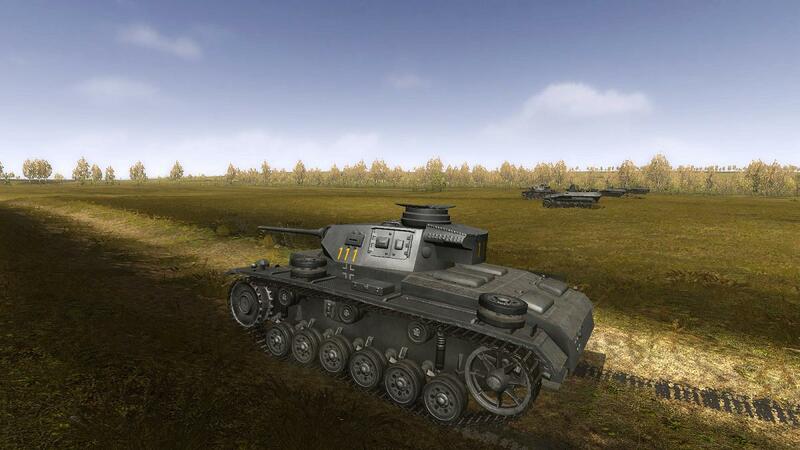 Despite the common developers, SABOW doesn't have a lot in common with Steel Fury, quite apart from the different time periods. Steel Fury (modded) has a massive set of playable vehicles (most witout 3d interiors, but all with sight, hatch and exterior views). SABOW hasn't but, it seems, is about to have more added as DLC, possibly with new maps and theatres. SABOW is technically better. 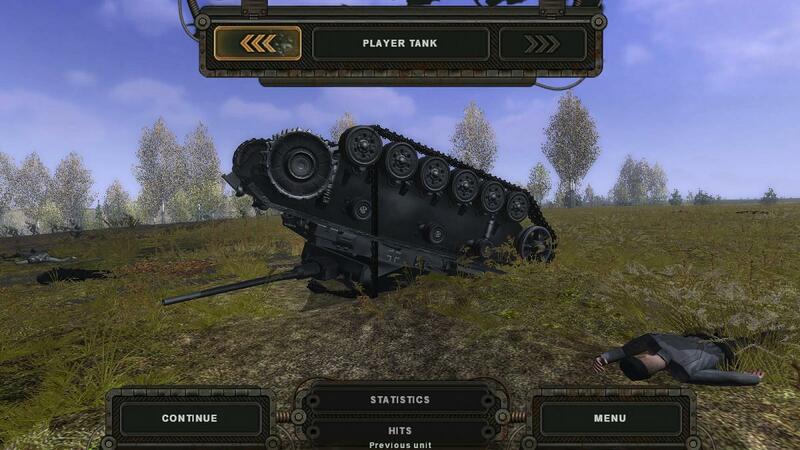 For example like Steel Beasts it implements the speed of sound so you don't hear everything instantaneously. SABOW's AI is better and you have much more control over your platoon; as well as the ability to jump to another playable tank. If you are knocked out in SF, it's game over. Your AI driver in SABOW seems more human; he may speed up, slow down or adjust his course to avoid obstacles as necessary. The pyhsics and damage models seem better in SABOW. 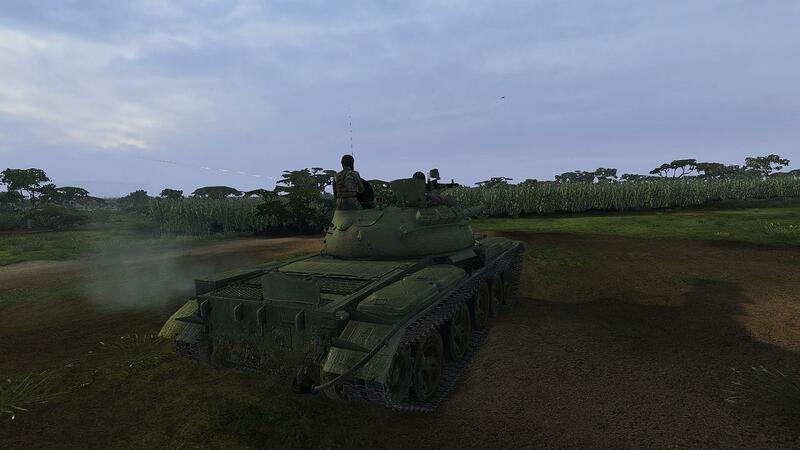 SABOW's more modern graphics are significantly better, with (for example) better tank crew animations and better hit effects (visual and audio). 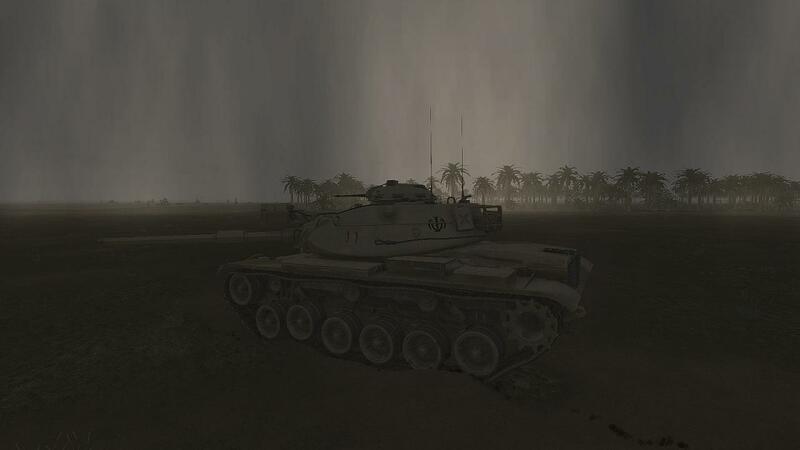 SABOW's weather during a mission can change, from bright to torrential rain, nights can be darker or lighter, plus it gets dark or light at the appropriate times. 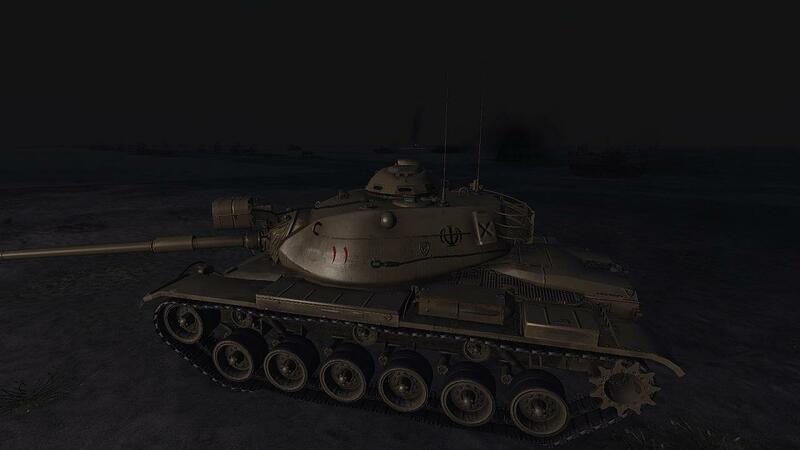 The more modern tanks in SABOW mean they have more features, which the sim represents very well; eg in the M60A1 if commander, you can use the stereoscopic rangefinder, or if playing as gunner, ask the commander to take a range with it for a selected target, and key it into the analogue fire control computer, thus setting your main gunsight for the correct range. SABOW does a very good job of replicating the active IR night fighting systems of the time, which of course aren't in SF, being WW2. Apart from the period, the biggest difference is missions and campaigns. In SF, missions are scripted. Campaigns are basically sets of scripted missions. This has some advantages, because with a relatively simple mission editor, users have made lots of extra SF missions (tho few campaigns). 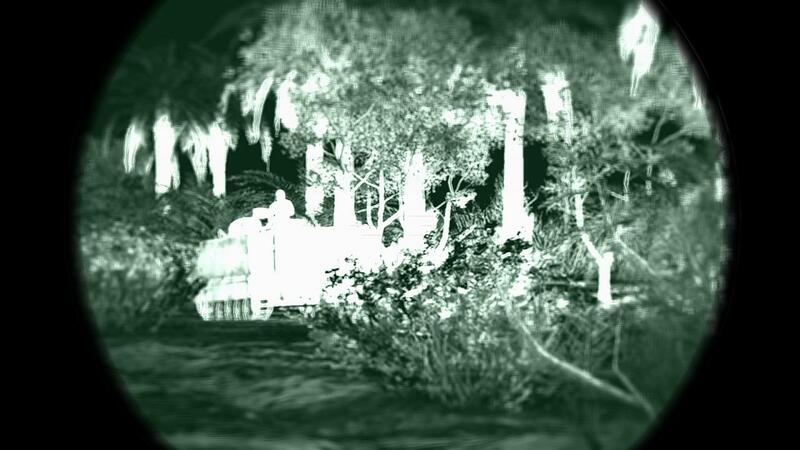 Being scripted, the briefings can be as thorough or realistic as the mission designer chooses to write them, or is able to. 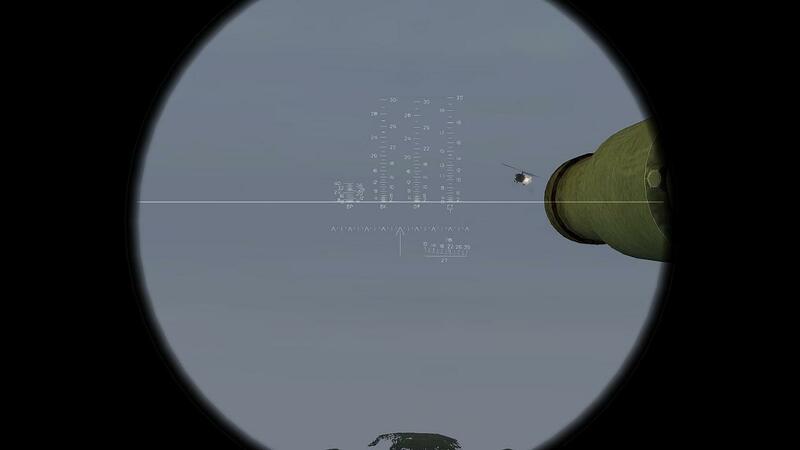 You read the briefing, launch the mission and - often within seconds - the shooting has started. Battles in SF tend to be short and sharp. 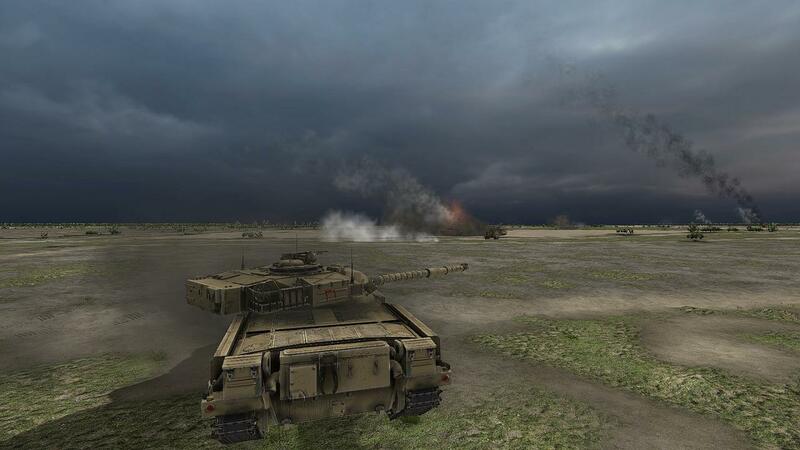 You play as a platoon commander usually (sometimes as a single vehicle) with fairly limited control over your platoon. The friendly and enemy AI isn't hopeless but it's not great either eg your platoon-mates often seem to make near-suicidal charges at the enemy. 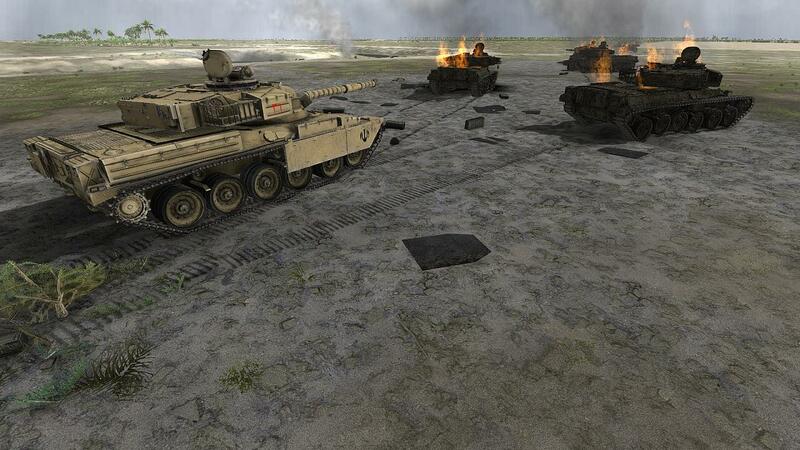 Light AFVs on both sides also tend to close with the enemy regardless. Missions often have few survivors. SABOW has real dynamic campaigns with events carrying over from one mission to the next. 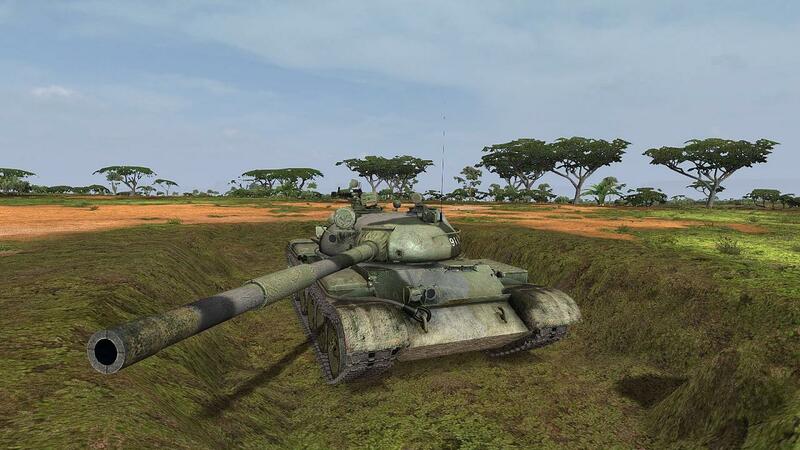 It is tanksim inside a wargame. You start each campaign mission in the role of a higher-level commander, with several platoons at your disposal, sometimes including other arms like mech infantry. 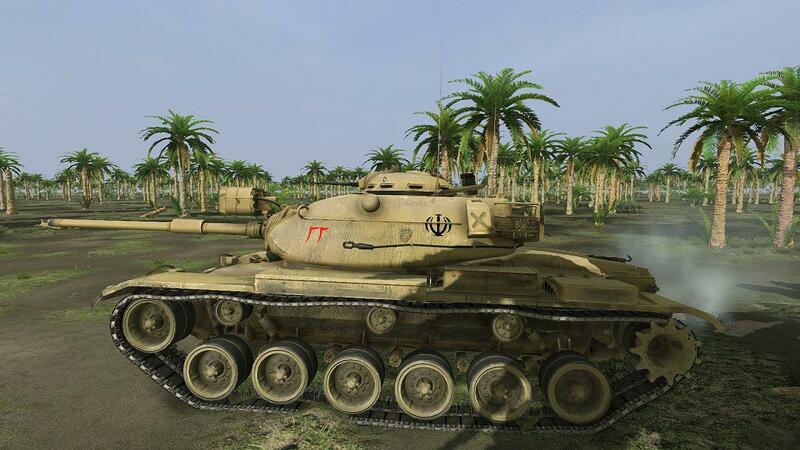 You have the option of deploying and giving orders to each, before you move onto the tanksimming. 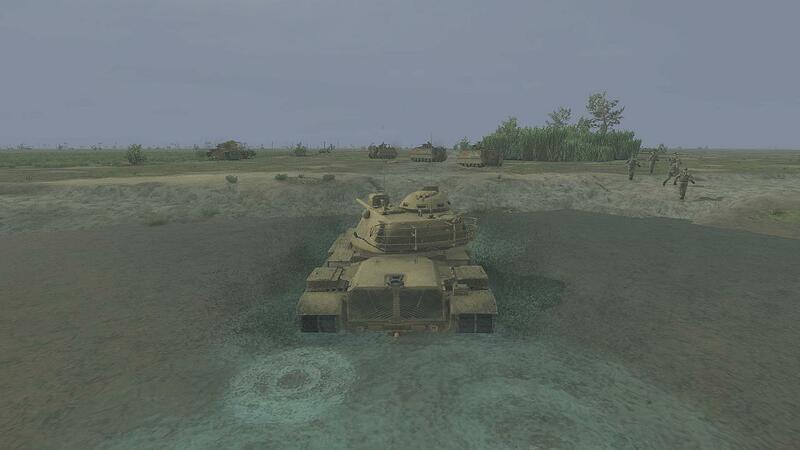 When you get there, you can play the role of any tank or platoon commander, in a playable tank (as well as drive or gun in either playable tank). Battles tend to last longer and to develop more slowly; for example an expected enemy attack may not come, it may take some time to develop, or it may come somewhere other than where you're expecting it. In SF you are basically playing your own tank, with some capacity to control maybe two 'wingmen', in short , scripted missions, with limited scope for planning or tactics, beyond individual tank or platoon level. SABOW gives you a tactical level as well, with battles that tend to last longer, give you more time to think, and are more unpredictable. AFAIK there is an April 2015 update for the boxed SABOW which is available cheaply but it isn't updated as frequently as the GamersGate and Steam versions and has been described as 'semi-supported (AFAIK Graviteam started updating SABOW after they got the rights back from the original publishers, who seem to have pushed it out the door before the developers would have liked). Last edited by 33lima; 06-14-2015 at 06:10 AM. Thanks so much, 33lima, for such a prompt and comprehensive answer; I didn't expect that, and I'll be picking that disc up tomorrow! The environment and special effects is always important to me in a sim or game, so this seems to have it all, and I'm virtually certain my pc will run it (it's a bit of an animal). Last edited by Eichhörnchen; 06-14-2015 at 04:04 AM. Good luck then I hope you like it! My PC's a bit of an animal too, possibly a mouse (without the plastic tank!) or other such creature (eg GTS 250), but it copes ok with both sims at fairly high settings (activating SABOW's 'reduce smoke' option still helped but as you can see from the screenies here and at CombatAce, I think I still get plenty of that!). It chokes on the action and unit-intensive 'Weisensee' missions for Steel Fury but is ok with 'normal' SF and SABOW. BTW apparently, don't use graphic driver antialiasing with SABOW or SF - the latter needs an Nividia Inspector tweak (if you have that type of card) to get any and SABOW has its own settings. If you like it enough and see value in doing so, you might then consider picking up the better-supported downloadable versions eg in a sale. I'm not sure now which of the listed improvements came in the May update. 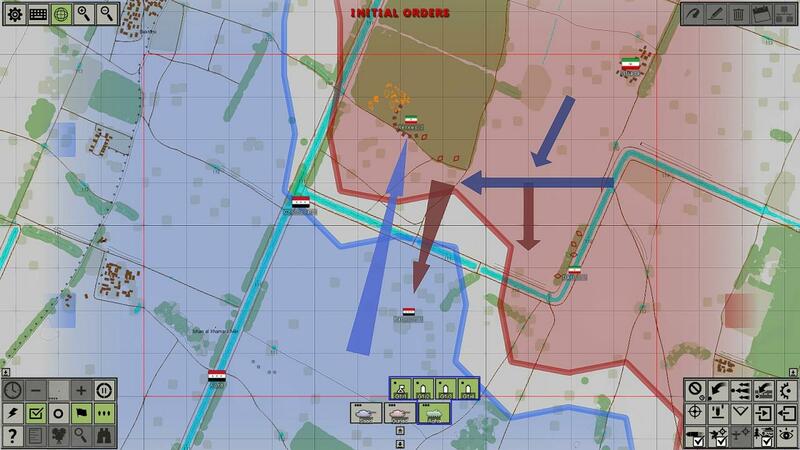 The same map and icons (the 'orders' subset anyway) is also available in-game as a tactical map which you use to monitor developments and give new orders beyond your own tank and tank platoon, so it helps to get the hang of these. After returning to SABOW in early 2015 when the updates started, a little persistence, reading the new manual (including the quick start guide here: http://graviteam.com/forum/index.php?topic=11215.0) and watching that video quickly got me over the hump and to the position where it clicked, the penny dropped and after that, it's pretty instinctive. The other thing you'll notice is that in SABOW campaign missions, you get a briefing at the start which is sort of a combined operational directive and briefing. This may be updated as the campaign unfolds but you don't get individual new orders, for each campaign mission. 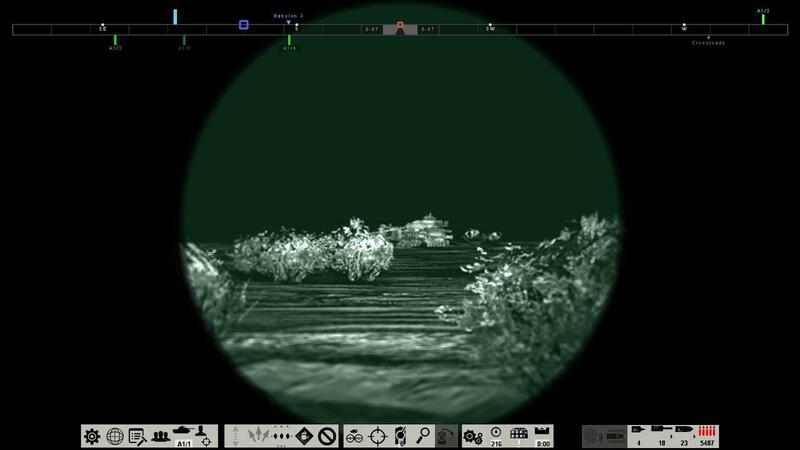 In this respect it is like a wargame, where you're in charge and have considerable latitude in deciding what to do, as the wargame element develops the overall situation, with terrain and enemy forces being the main things you'll want to hit. When I say 'you're in charge' there's another convention it helps to understand here, which is that on campaign, you are in charge of the friendly forces in one sector only. Based on your and the AI's moves, if and when a battle is calculated to be in prospect (complete with on-screen music, flashing status labels etc), you are taken usually a level further down, to the sector within your sector where the battle is imminent. There is a 'command all allies' option which gives you greater control but generally, you end up in charge of anything from two to about five platoons. I've tried to describe how this usually works out in the mission reports at CombatAce. This system has its good and bad points but overall, I think it might actually be the best SP campaign system any tanksim has had. Last edited by 33lima; 06-14-2015 at 10:08 AM. Thanks again; got the sim today and installed it. Would you believe it, there's not even a manual on the disc! So your extremely helpful links to the quick-start guide and SimDeck video in particular, are timely indeed. I hope it's not a bad sign, but the "tutorial" just won't start. However, the mission-setup interface functions just fine and, as you say, I'm just going to have to be patient and learn the ropes first. 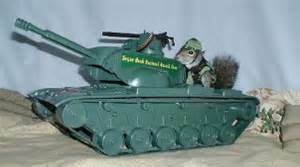 Squirrels and heavy armour may ultimately prove incompatible, but I want to give this a try; other tank sims have all been a bit of a disappointment with either third-person viewpoint only, cruddy graphics or both. 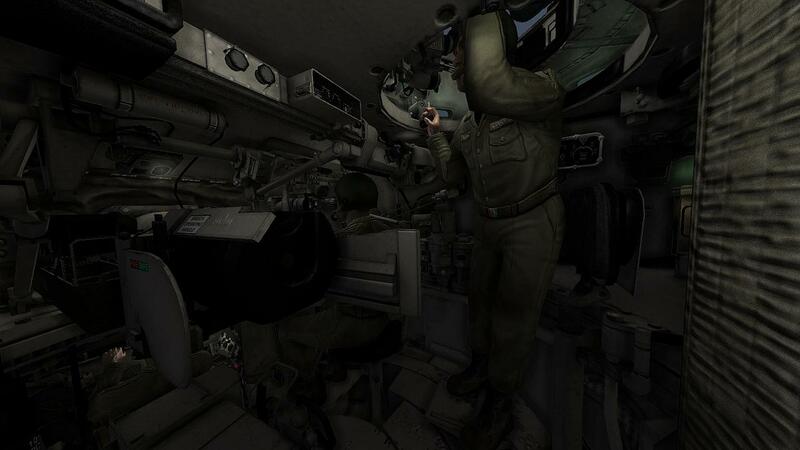 I have the Gamersgate version and after installation, the manuals (tanks, tactics and controls, in the updated version anyway) are in the folder Steel Armour Blaze of War/Docs/Support. Maybe you have installed the April update and patch already but if not, for the GG version anyway, the update process is unusual; drop the downloaded update (filename something like sabow_apr15_patch_eng.gt2extension) into the install folder, double-click the batch file update.cmd (also in the install folder) and use the dialogue window which then opens to locate and enable the update. That's the process for the GG version, likely for the disc version, too. I haven't got into that yet (I thought there might be a patch or two on the disc, but no). And no doc files on the disc at all, just the AutoRun, EULA, Setup plus three Setup bin. files... not even a Readme! With a bit of luck, the manuals will be installed with the game; they're likely in one of those bin files. I'm pretty sure it won't include the updates as the UIG version pre-dates Graviteam getting the rights back and starting to patch/update the game, officially. As the original release was reported to have some issues, and the updates - as well as adding some features, like tank-laid smoke screens - make some interface changes that you don't want to have to re-learn, I'd definitely recommend patching it right away, after installation. I bought this when it came out on disk. However I found the interface clunky and hard to use, I couldn't even figure out how to get in 3D mode to play the tanks in Campaign mode. It seems this has been made a bit more accessible with a Easy Mission editor and quick game setting? Also is it at all possible to play the Centurion now, or via mods? 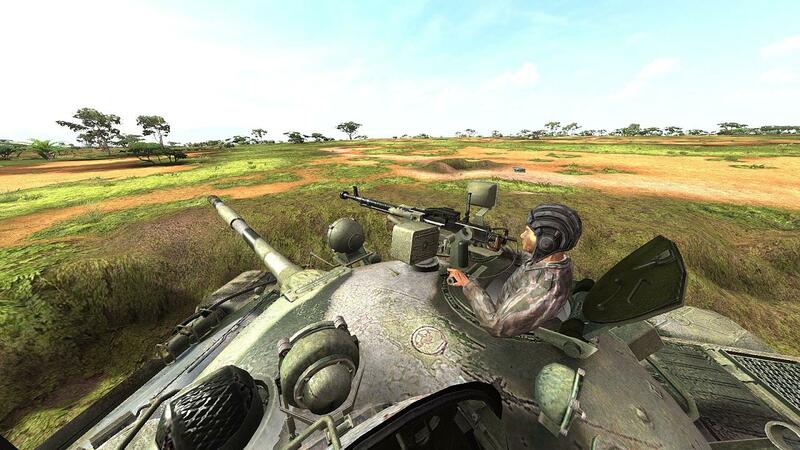 Would be nice to play on the side of SADF in the Angola campaign. In any event is it better to get this from Gamergate or Steam...anything that either of the two versions don't have in terms of features, moddability or DLC? Any does anyone know if disk customers get a discount somewhere to get the improved game?